Where family fun and friendliness is guaranteed. 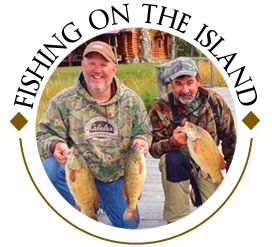 Upper Peninsula and Drummond Island Cabin Rentals, Fishing, Boat Rentals, & Adventure. 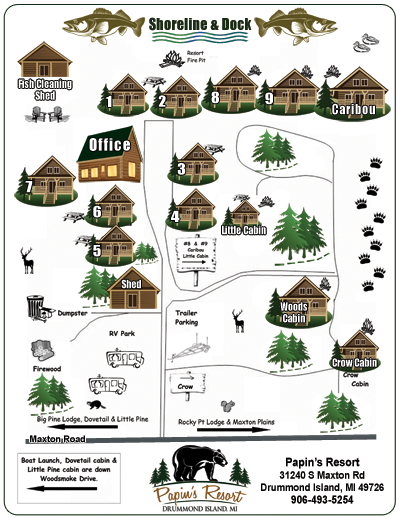 Papin's Log Cabin Resort of Drummond Island, Michigan offers a huge variety of great Upper Peninsula Lodging. Check out our Drummond Island Log Cabin Rentals, Campers for Rent and our RV Park. Our resort offers some of the most incredible Drummond Island fishing opportunities. Upper Peninsula fishermen love to cast for: walleye, cisco, yellow perch, small mouth bass, pike & whitefish. 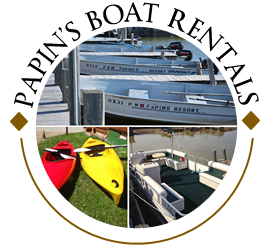 Papin's Boat Rentals helps bring your fishing and boating recreational vacation a reality: Drummond Island fishing boats, pontoon rentals and kayak rentals. Enjoy our Island and its waters with us! Welcome to Drummond Island, Michigan and Papin's Log Cabin Resort. We are a family run resort where friendliness is guaranteed. Fishing and hunting are excellent and the sunsets along Drummond Island's shoreline will keep you coming back for more. Whether you are planning an Upper Peninsula vacation or a hunting and fishing trip with friends, we have the right accommodations for your needs. 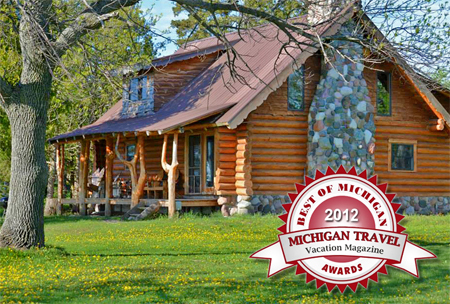 In 2012, we received the prestigious award from Michigan Travel Vacation Magazine. We were given "Best of Michigan Awards". Papins Resort also offers Drummond Island boat rentals. Whether you are a pro or a novice, Scott Bay offers some of the best fishing in Michigan's Upper Peninsula. Our fishing boat rentals include: fishing boats, row boats, pontoon boats, and kayaks. Find your dream here on the Gem of the Huron. Papin's Resort is proud to also place as a finalist for the 2013 "Best of Michigan Awards". We strive to bring our Upper Peninsula Vacations the best experience possible! 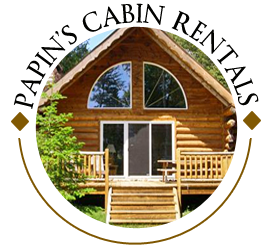 We invite you to watch our Papin's Resort Video featuring our Drummond Island Log cabin rentals, view of beautiful Lake Huron, property highlights, RV park, and our great location within the, "Gem of the Huron". This is the perfect vacation location for fishermen and hunters. Come and experience Papin's Resort and find out why we were given the "Best of Michigan Awards". Call or email us today to reserve your Drummond Island adventure!